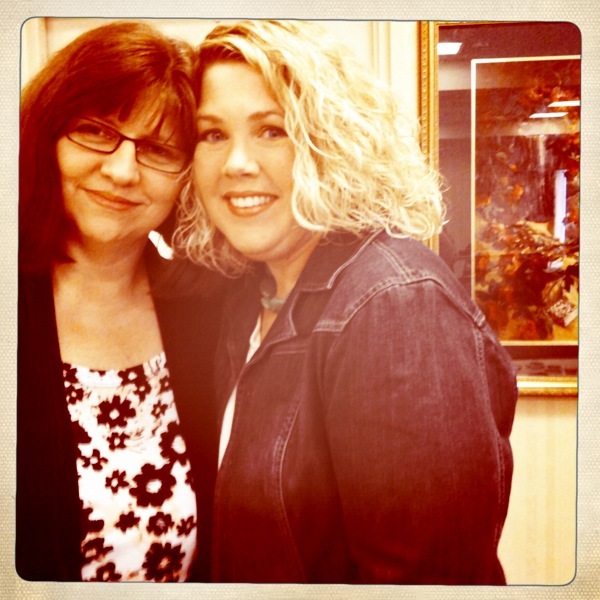 …long post ahead… Where have I been? ScrapFest! I made it home early in the week from a few fabulous days in Minneapolis. 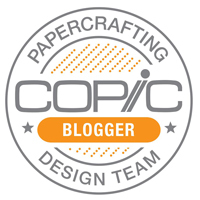 I had the opportunity to visit with many of my papercrafting friends from around the country, as well as family friends. It was a super busy, long working hours, incredibly good trip. I made it home just in time to work on the annual PTO fundraiser where I worked with a team that ‘nickeled and dimed’ our way to counting over $50,000 one crumpled bill at a time. Now, I’m finishing up the work week and looking forward to rodeo action right here in town, all weekend long. Good times. For Taylor’s Sketch today, I have a sweet Whiff of Joy image that was begging to be made into a card. She’s been sitting on my desk for a month or two. How sad is that? She’s colored with Copic Markers (color below) and accented with Cosmo Cricket paper. I knew I didn’t want to bring my sentiment over the pot of honey, so I stopped it short and then balanced out the weight on the right side with a few buttons. I do love how this came out. The little tea pot charm at the bottom is from Whiff of Joy, as well. I adore this girl. She’s so talented…so ultra-uber talented. 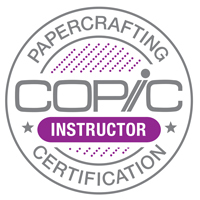 Debbie and I taught a Copic Certification in Eden Prairie before ScrapFest last week. It went super smooth. 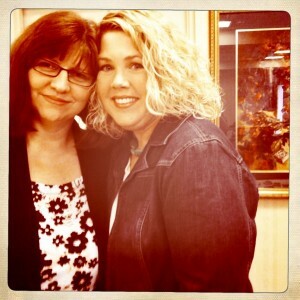 We also roomed together for ScrapFest and did some major shoe shopping at the mall. For our husbands, I’m sorry. 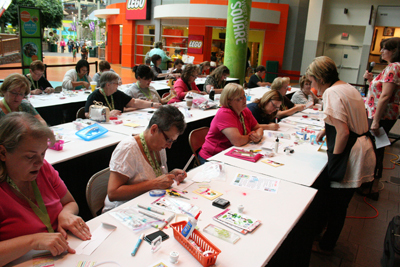 Debbie Olson and I taught 2 full classes of Copic and Our Craft Lounge fans Friday – Sunday at Mall of America for ScrapFest. That was weird, but totally fun to be right out in the middle of the mall with a microphone talking about Copic color selection. LOL! 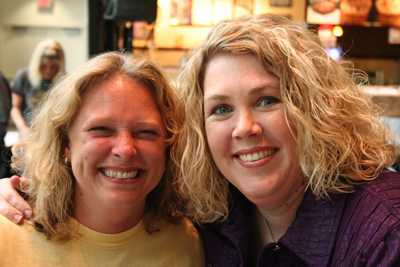 Carol Halverson and Heather Nichols were frequent visitors to our demo and class venues this past weekend. It was great to spend time with them. Such sweet girls. 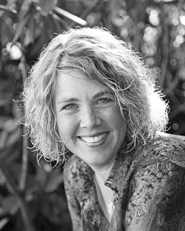 If you’ve never met Lori McAree – She is always smiling like this. I mean ALWAYS. So helpful, fun, talented, sweet. 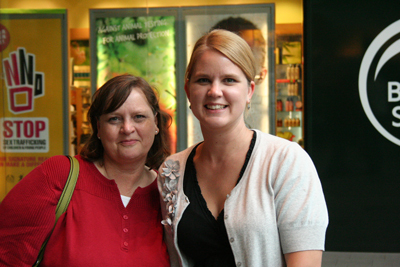 Love that she was able to spend both Thursday at a Copic Certification and Friday at Mall of America with us last week. Love you, girl! I love the Unity Crew, and I got to see most of them this trip without my camera. I ran into Tommy the most: make & takes (he rocks those), Chipolte, running from one thing to the next. He was always around. Great guy! So with that, I’m off for the weekend. Hoping to catch up on a few things around the house and get rested a bit. This entry was posted in Copics, Whiff of Joy. Bookmark the permalink. Adorable card! Love the buttons and charm – great finishing details. Love seeing the scrapfest photos too! Have a wonderful rodeo weekend! 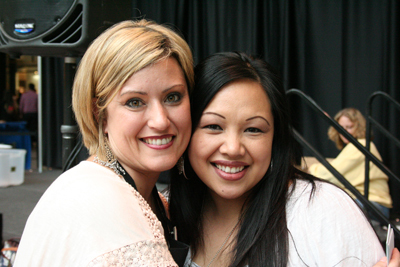 Love seeing all those photos Lori! You look fabulous! The card is super sweet too! Great photos Lori! Looks like you had a wonderful time! Fabulous card too! Your card looks darling. Your week was definitely FULL! I hope next week will be slower for you so you can take a deep breath and relax a bit. Darling card, Lori — love that little teapot charm! Lori, your card is just darling! Love the added touch that the little teapot gives. Your coloring is gorgeous, as usual!!! Thanks for sharing your photos – I feel like I’m there! Hugs! Very cute card! Congratulations on all the good and fun things happening for you!! How exciting you are running your first 5K! Running and races become addicting!! Watch out! I expect an update!! I’ll be praying for ya! YOU CAN DO IT! !